The Master of Science in Ecological Restoration is Canada’s first master’s program specializing in Ecological Restoration and is offered as a joint program between British Columbia Institute of Technology (BCIT) and Simon Fraser University (SFU). 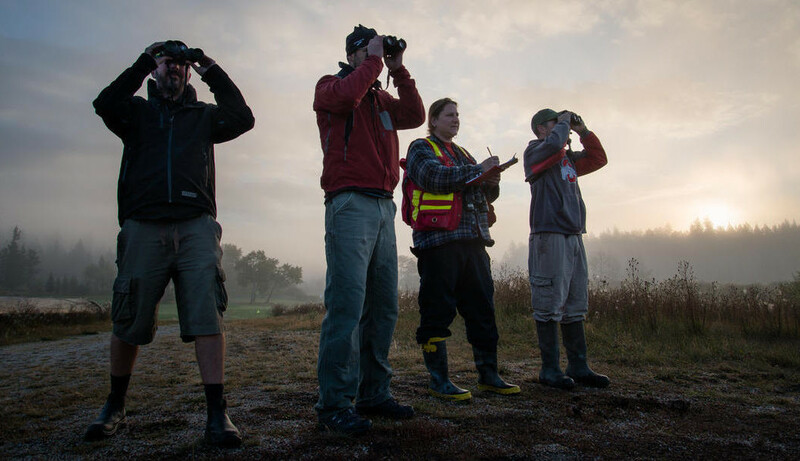 The MSc in Ecological Restoration combines the strong technical and applied (experiential) knowledge at BCIT with SFU’s fundamental (contextual) basic science and community engagement expertise. The product is a unique joint-degree program that will fundamentally advance both the practice and science of ecological restoration. Ecological Restoration is a scientific discipline that has recently emerged due to the increasing need to restore degraded and damaged ecosystems. Many ecosystem goods, services, and natural habitats have been severely impacted due to the cumulative impacts of previous and ongoing anthropogenic influences, including for example: urban sprawl, industrial expansion, invasive species, and contamination of soils and water resources. These impacts, and the need to remediate, rehabilitate, and restore habitat for threatened and endangered species, have led to the requirement for ecosystem restoration work across the province, Canada, and internationally. Ecological Restoration is an intentional activity that initiates or accelerates recovery of an ecosystem with respect to its health, integrity, and sustainability. This four-term, two-year (36 credit (BCIT)/units (SFU) – inclusive of a 6-credit/unit capstone project) program will produce graduates capable of using critical thinking, adaptive management, and applied research within an applied problem-solving framework. This combination of skills will be applied to the identification of factors responsible for degraded ecosystems and to the rehabilitation and restoration of ecosystem functions, while advancing the scientific knowledge of this rapidly emerging discipline. Graduates will have the critical and theoretical skills needed to set priorities, develop a structured approach to restoring degraded ecosystems, and critically assess their success in highly complex and unpredictable environments with significant uncertainties. Inherent in the program are development of essential skills for program management, communication, and respectful community consultation. The program will leverage expertise at both institutions, and local experts and case studies, to understand how to approach ecological restoration in diverse sociocultural and biophysical settings. Is a unique program in Canada, and is among very few similar programs in North America.